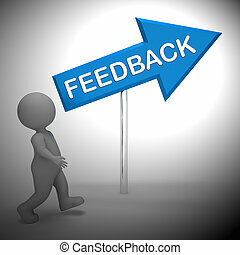 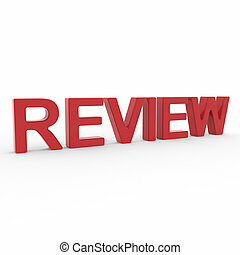 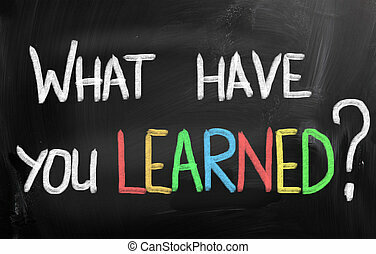 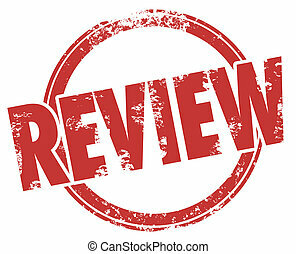 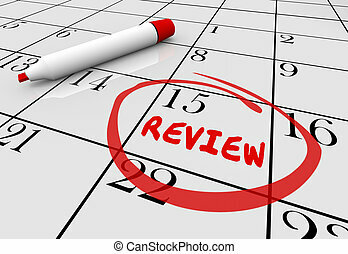 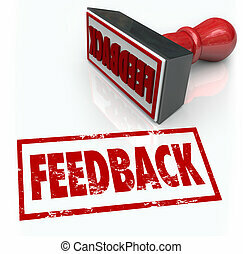 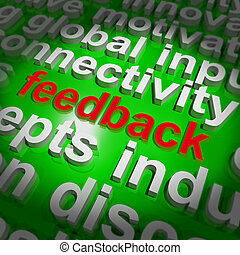 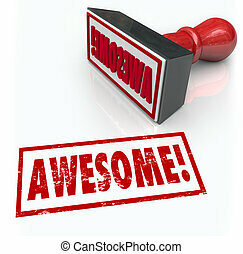 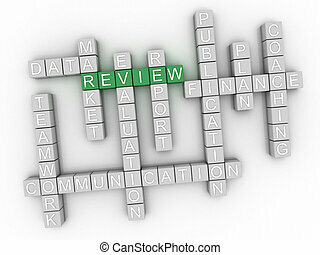 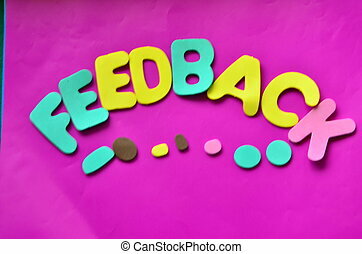 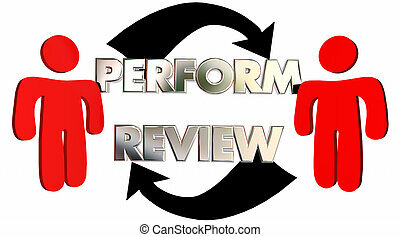 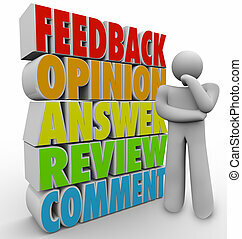 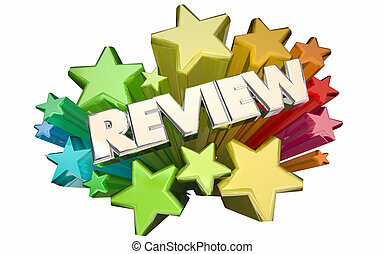 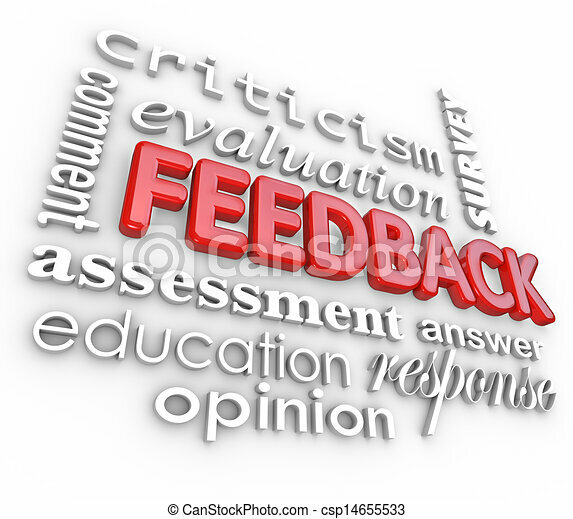 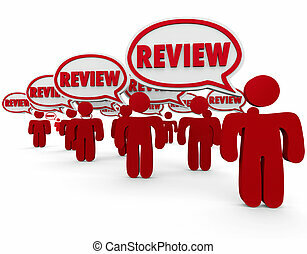 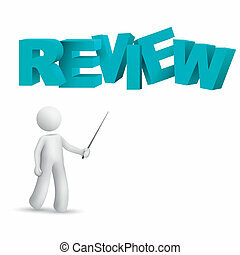 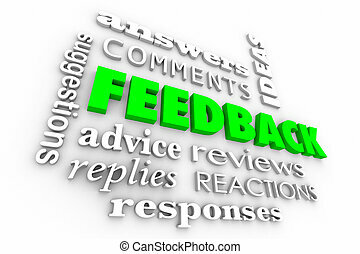 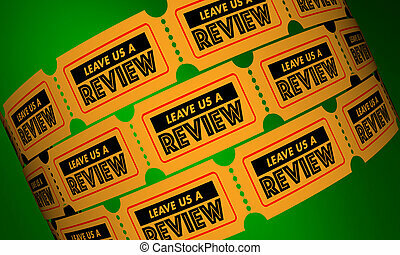 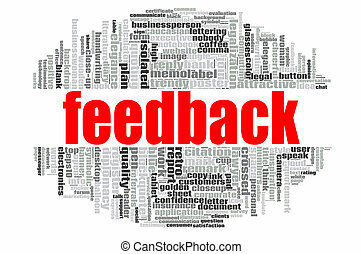 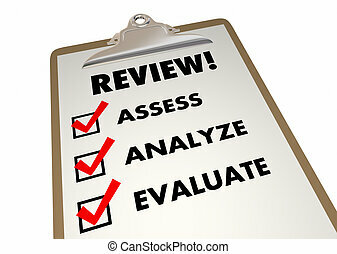 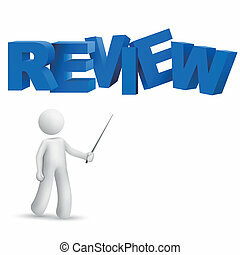 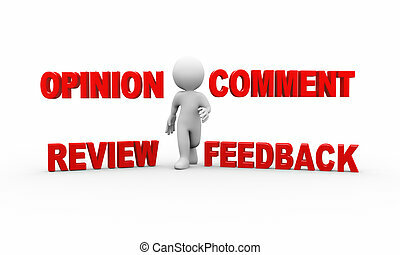 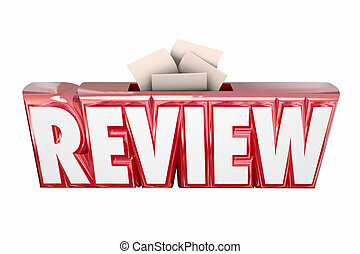 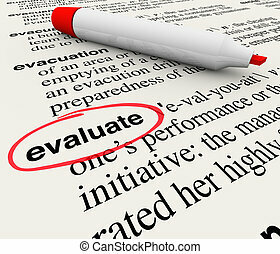 Feedback 3d word collage evaluation comment review. 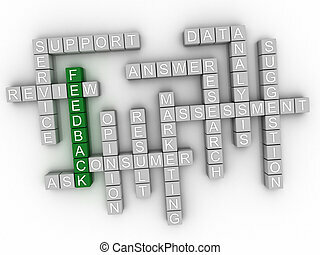 A 3d word collage focused on the word feedback and other terms like assessment, evaluation, comment, response, criticism, survey and answer. 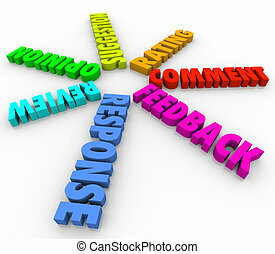 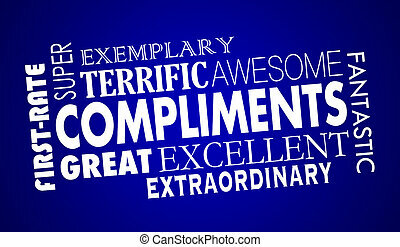 Feedback word cloud concept on white background, 3d rendering.